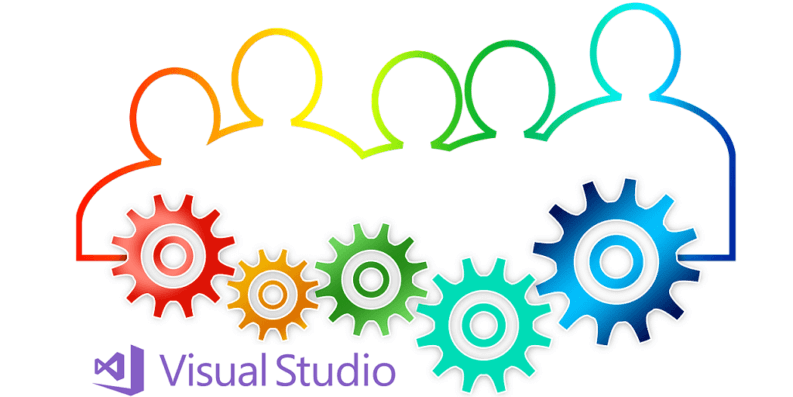 At Stackify, we’re big fans of tools that make developers’ lives simpler, and one such tool is Visual Studio Online, which is now known as Visual Studio Team Services (VSTS), an extension of the Visual Studio architecture that covers development teams. It has special tools and roles for software developers, testers, and specialists. These include tools for collaboration, reporting, development, and measurement. Let’s go over a few basics about VSTS and the ways each member of your team can leverage this tool for better productivity and collaboration. Then, if you’re wondering what to build next, check out our What will you build? guide for some inspiration. Visual Studio is a development environment that helps software developers manage their projects and work using different programming languages, including Visual C++ .NET, ASP.NET, Visual J#, Visual C# .NET, and Visual Basic .NET. A Misnomer: Why the Name Change from Visual Studio Online to VSTS? Visual Studio Online is not Visual Studio on the Web. Many people might think that it’s simply the cloud-based version of Microsoft’s development tool, but in reality, it is Team Foundation Server (TFS) in the cloud. Ed Blankenship of Microsoft explains that even that scenario may not be entirely accurate. Blankenship notes that it started off as the online version of TFS, but with a lot of features and services added in over time. It is also managed entirely by Microsoft. You don’t have to do anything other than create an account, and you’re good to go. Microsoft manages and administers the servers, as well as takes care of your backups. Learn more about Microsoft’s cloud offering, Azure, and how it stacks up to Amazon Web Services: Azure vs. AWS: Which One is Better? VSTS includes more benefits than what you could get from the Team Foundation Server, such as an integrated Build Service, which gives you an easy way to access build agents that have been pre-configured and have a number of tools already installed. These tools are from Microsoft, as well as third-party sources. These agents are added to your account when needed and then removed after you use it. This helps make it more secure and very scalable. You also have the Load Testing Service that allows you to access Azure infrastructure to run a high number of load tests with the barest minimum setup required, or sometimes no setup at all. You can simulate load testing of up to 2.5 million users worldwide. Load testing is a must for determining if your applications can stand up to real-world use conditions. There are many load testing tools available today for all kinds of applications and organizations. Which of your application’s features are being used by what percentage of your users? Which features should you focus on? Which ones should you abandon? Read more about the features and limitations of Application Insights and how Stackify Retrace is different from Microsoft’s Application Insights. Then you have Release Management, which helps you manage builds and where they eventually end up. It can also track features and which applications and environment have them. Using the many features of VSTS allows you to get started quickly, and even make it easier to build, plan, and ship your applications even when you make it available on a variety of platforms. You get all of its features without having to download and set up anything – all the features are just there for you to use. You don’t have to worry about supporting the tool; you can now just focus on developing your applications. Collaboration is easier, even with teams distributed around the world. You have the option to use centralized version control, or if you have a distributed approach, you can work with Git. What’s more, you have everything in one place and this makes it easier for your team to keep track of new features and work out bugs. Moreover, VSTS is frequently updated with new tools, functionality, and features. And because employees at Microsoft use it, you can expect a lot more useful features down the road. And speaking of added functionality, you can add extensions such as Trello, Slack, Github, Tower Git, Octopus, or HockeyApp – you can even create your own. In short, it fosters agility and efficiency in teams. Smaller teams with five or fewer members can even take advantage of VSTS for free. For teams with more than five members, Microsoft offers scalable pricing, and you’ll pay only for the users on your team who need access. Analysts. Analysts can utilize the tools and services that VSTS offers, allowing them to input work items, as well as documentation. They can create documentation with the level of sophistication and detail they want. They can even make use of customized templates to help make things easier, simpler and more consistent. All documentations are in HTML format, with images and other files attached to it. Programmers. Programmers can use this service for: integrated unit testing, source control, and automated builds. Even though you cannot use it as a development environment, it interfaces seamlessly with Visual Studio. You can also use it with similar development tools such as Xcode and Eclipse. Testers. Testers can manage acceptance test and enter test scripts using VSTS. IT also has advanced reporting that helps them monitor and keep track of the tests done over time. IT project / team managers. Managers can use the service to monitor the team’s progress. It allows you to divide bigger projects into smaller iterations, as well as scheduling work items and assigning tasks to team members. On the other hand, team members find it easier to update the progress on different work items they are responsible for. It can automatically generate product backlogs, burndown charts and Kanban boards, among other reports. Getting started on VSTS is easy. You would need a Microsoft account and go to this address: https://www.visualstudio.com/team-services. Look for the “Use the Cloud Service: Visual Studio Team Services” section and click on “Get started for free.” All the features and services are accessed or done within your browser so there is nothing to download, install, or setup.